Thangruolin, Lungruolin. Hmar takin awleh! 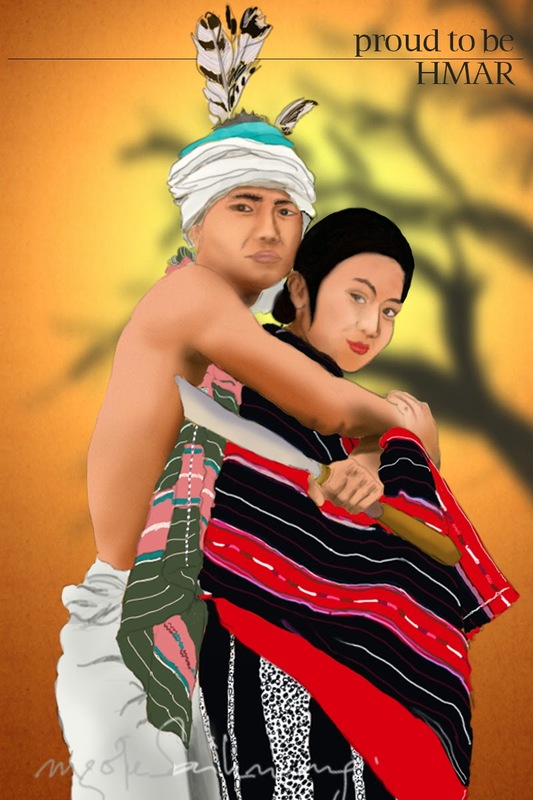 Hmar is the name of one of the numerous Mizo/Kuki/Chin tribes of India, spread over a large area in the northeast. The Hmars belong to the Chin-Kuki-Mizo group of tribes, and are recognized as Scheduled Tribe under the 6th Schedule of the Constitution of India. They are a small community of less than 100,000 in Assam, although there are more in Manipur, Mizoram and Tripura. (source-wiki).